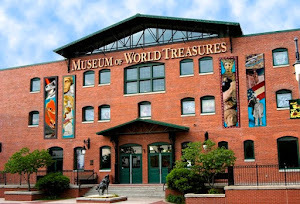 February is almost over which means the Museum of World Treasures is closing in on some exciting events, including a new exhibit opening in the Rotating Gallery. Dawn of the Great War: AWorld War I Centennial Commemoration will open to the public on Friday, February 28. While you wait for this exciting exhibit to open, visit and explore our World War II exhibit and learn how on February 23, 1945, the American Flag was raised on the highest peak: Mount Suribachi, of Iwo Jima. American troops were sent with the mission to gain control of the island as an advance of the aerial campaign against Japan. The island would serve as the base for fighter aircrafts and an emergency landing site for bombers, as it was 700 miles from Japan. 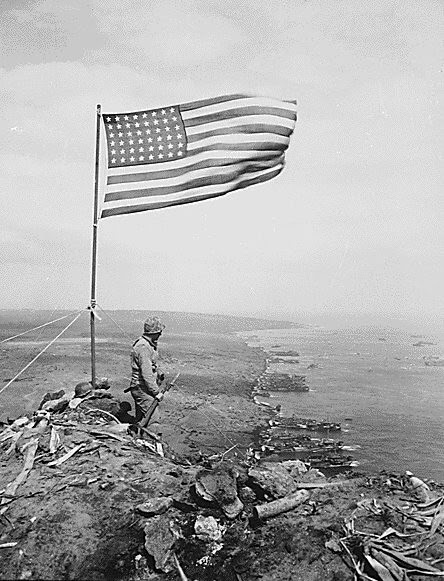 Four days before the raising of the flag, U.S. Marines invaded the island of Iwo Jima, storming the hostile shores. 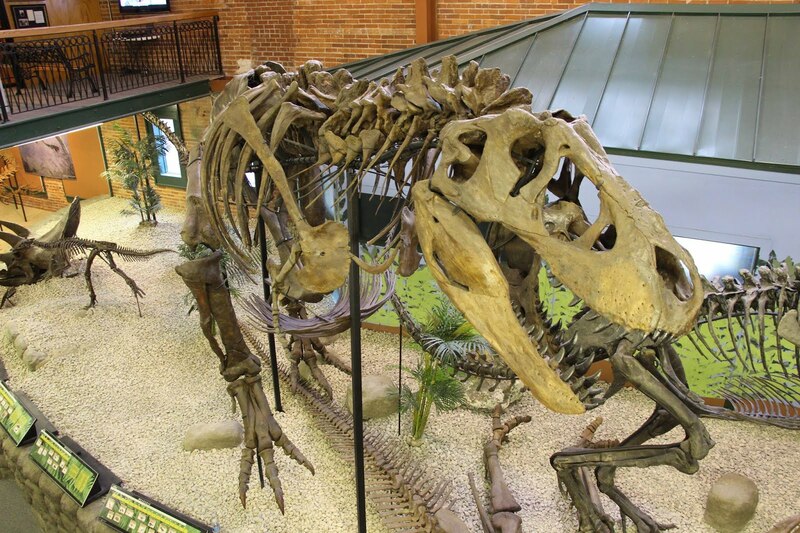 Having expected an invasion, the shores were lined with intricate and deadly underground tunnels that were equipped with fortifications and heavy artillery that withstood the initial attack. Despite deadly conditions, Marines established a solid position and inched their way up the island over the next few days. The Marines advanced with great endurance, battling unseen Japanese soldiers manning artillery in the underground tunnels by incarnating them with flamethrowers or blowing them away with grenades or rockets. 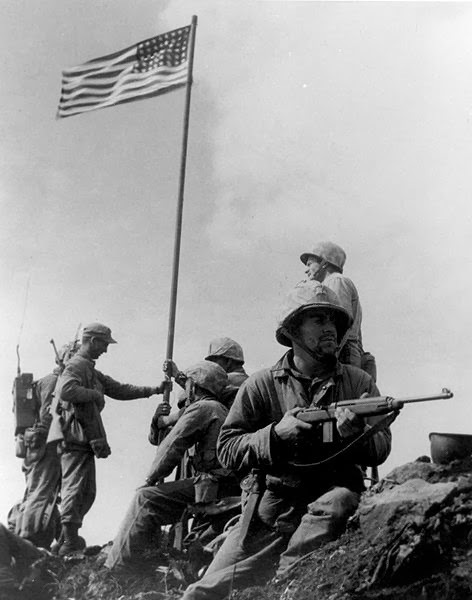 Four days after the initial storm and bloody advancements Mount Suribachi was taken and the moment was sealed with the raising of the American flag. Soldiers cheered those raising the flag and later headed up the slope with a second, larger flag. While the raising of the first flag was recorded, the image of the soldiers struggling to raise the second flag won Joe Rosenthal of the Associated Press a Pulitzer Prize and is one of the most reproduced photographs in history. 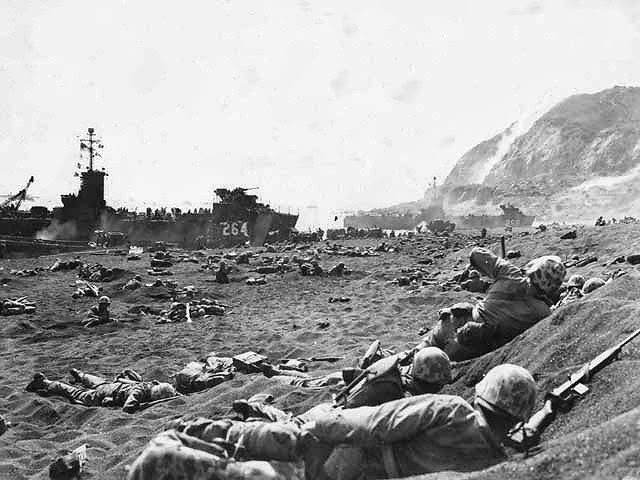 It was not until March of 1945 that the bloody battle of Iwo Jima saw its conclusion. U.S. forces controlled all three airfields by March 3, and captured or killed the last Japanese defenders by March 26, 1945. The Battle of Iwo Jima claimed a devastating 6,000 American soldier lives and wounded over 17,000. Out of the 22,000 Japanese soldiers defending the island, only 200 were captured alive.